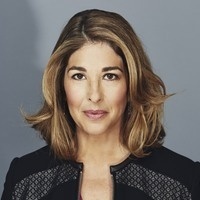 The Humanities Institute of The University of Texas at Austin welcomes Naomi Klein as its eighth C.L. and Henriette Cline Visiting Professorship in the Humanities. Klein will give a public lecture, speaking to the Humanities Institute’s 2015-2016 theme of Imagined Futures. Additional support for Naomi Klein's visit is provided by The Texas Insititute for Literary and Textual Studies, Department of English.